Publicly funded science is an important step on the path to the development of technologies that can improve society. However, often the connection between science and impact isn't clear. The Lens has tools that let us peel away some of the uncertainty. Nobel Prize winners are recognised for the impact their work has had on society. But how can we quantify and measure that impact? One way is through the number of times they have been cited in the patent literature. Below we have three examples of Nobel Prize winners from the biological sciences and we've used The Lens to show data on how often their work has been cited in the patent literature. 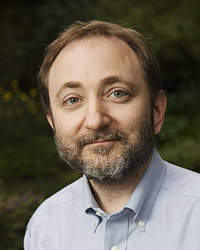 Andrew Zachary Fire (born April 27, 1959) is an American biologist and professor of pathology and of genetics at the Stanford University School of Medicine. He was awarded the 2006 Nobel Prize for Physiology or Medicine, along with Craig C. Mello, for the discovery of RNA interference (RNAi). This research was conducted at the Carnegie Institution of Washington and published in 1998. Professor Elizabeth Helen Blackburn, AC, FRS, FAA, FRSN (born 26 November 1948) is an Australian-American biological researcher at the University of California, San Francisco, who studies the telomere, a structure at the end of chromosomes that protects the chromosome. Blackburn co-discovered telomerase, the enzyme that replenishes the telomere. For this work, she was awarded the 2009 Nobel Prize in Physiology or Medicine, sharing it with Carol W. Greider and Jack W. Szostak. César Milstein, FRS(8 October 1927 – 24 March 2002) was a Argentinian biochemist, (nationalized British) in the field of antibody research. Milstein shared the Nobel Prize in Physiology or Medicine in 1984 with Niels Kaj Jerne and Georges J. F. Köhler. Currently collections on the lens are restricted to sizes of less than 20,000 patents. To see this full collection simply go to the "family data" option on the left and select the "expand by simple family" checkbox. Beyond the Nobel: Great Science! The Nobel is after all just a prize. Some research may be critical for economic and social progress, but the reward is in the science and its impact, not prizes. A wonderful example is the extraordinary influence on biological innovation by David Lipman, who besides being amongst the most cited authors in life sciences is also the founding Director of NCBI at the NIH which provides the bedrock cyber infrastructure on which all life sciences research depends. David J. Lipman is an American biologist who since 1989 has been the Director of the National Center for Biotechnology Information (NCBI) at the National Institutes of Health. NCBI is the home of GenBank, the U.S. node of the International Sequence Database Consortium, and PubMed, one of the most heavily used sites in the world for the search and retrieval of biomedical information. Lipman is one of the original authors of the BLAST sequence alignment program, and a respected figure in bioinformatics. Peter Michael Waterhouse is a British-Australian plant virologist and geneticist. He is a professor at the Queensland University of Technology. He is internationally known for his research on RNA interference (RNAi) and his expertise ranges from viral gene regulation to plant genomics. He has been awarded many of the highest scientific honours in Australia, including the Prime Minister’s Prize for Science, CSIRO Chairman’s medal, the Victor Chang Medal, and election to the Australian Academy of Science. Jennifer Anne Doudna is a Professor of Chemistry and of Molecular and Cell Biology at the University of California, Berkeley. She has been an investigator with the Howard Hughes Medical Institute (HHMI) since 1997.